Submitted by Dan Dooré on Wednesday, May 16, 2018 - 20:29. 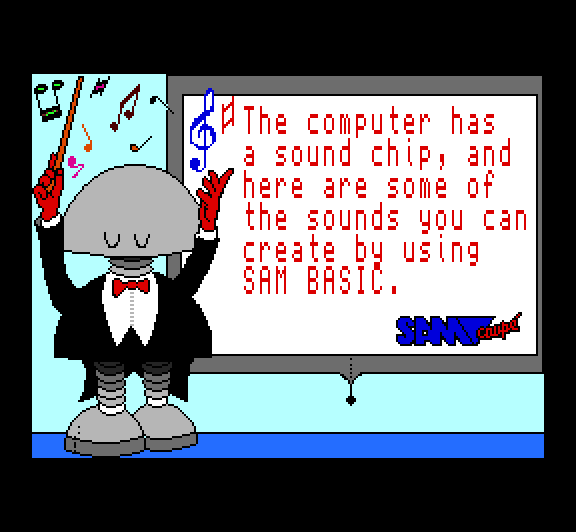 The original Sam Demo that came in the MGT Utility Tapes with the Sam Coupé and on the SamDOS disc. 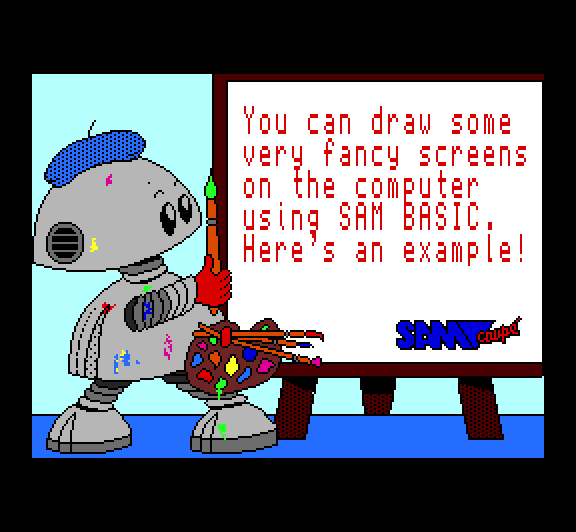 Contained example screens ported from the Atari ST by Bo Jangeborg , some BLITZ$ graphics and other BASIC demos. 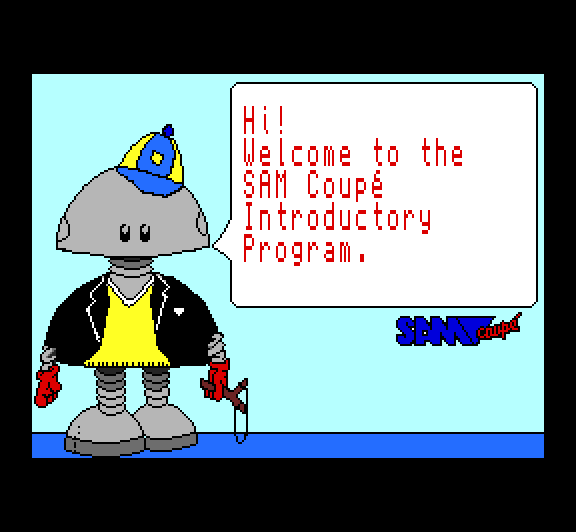 Replaced in 1991 by Search: “SamCo” with the Official Sam Computers Coupé Demo written by Masters of Magic . The Sound section contains examples of a Steam Locomotive, a Trimphone(R) and a Space Ship which are the examples in the Philips SAA1099 Technical Publication 231.